Fuze and Samsung Electronics America are partnering to tackle some of the industry’s hottest technologies. The cloud communications provider and mobile device manufacturer announced their goal of a long-term partnership that includes but is not limited to enhancing compatibility between Fuze software and Samsung hardware. They are unveiling their first collaborative effort this week at Enterprise Connect. The companies say combining Samsung’s mobile devices with Fuze’s software and services will meet demand for 5G, the internet of things (IoT) and machine-learning solutions. Those three technologies are converging and reshaping the modern workforce, according to the announcement. Taher Behbehani, senior vice president and general manager of Samsung for Business, said Monday that his company can better remove “collaboration barriers” for enterprise customers because of the Fuze partnership. He said Fuze brings agility and flexibility, which are highly demanded characteristics of today’s workforce. The companies recently tag-teamed to put their solutions in more than 15,000 Waste Management trucks. That use case, which they are spotlighting at Enterprise Connect, reduced cost and complexity, and improved safety. Samsung and Fuze offered concrete examples of how else they might collaborate. The Fuze huddle room could run through Samsung Galaxy tablets, and Fuze can tailor its UCaaS platform for upcoming Samsung devices like the Galaxy Fold smartphone. Fuze also suggested that it may build productivity solutions around Samsung’s Dex solution, which gives mobile devices a desktop-like experience. Fuze was one of our 20 top UcaaS providers last year. The company expanded its channel partner program with the aim of attracting new resellers. 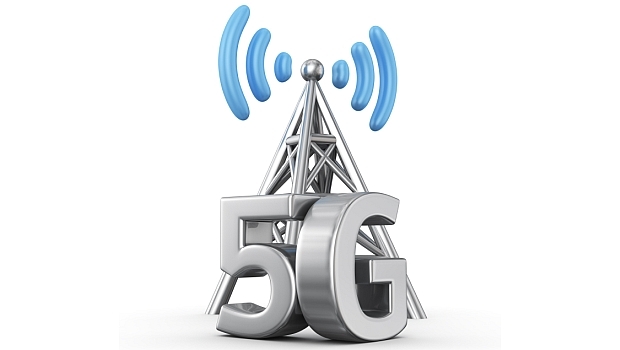 Samsung has been pursuing partnerships around 5G. Last month it announced an exclusive opportunity for Verizon to sell its new 5G phones. Verizon and its partners will resell the Galaxy 10 5G device before the other carriers get their hands on it. Our sister site Light Reading caught up with Samsung’s vice president of strategy and business development at MWC Barcelona last month to learn more about Samsung’s 5G developments. Samsung and Windows Phones both made gains in the SMB market, but Intermedia says Apple's devices still reign. A new report shows that Samsung and Apple are leaving rivals in the dust.